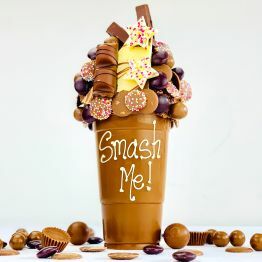 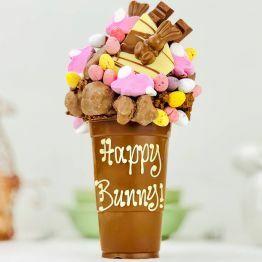 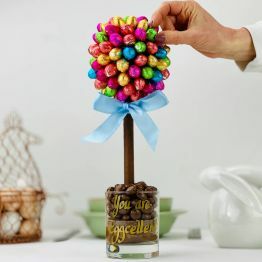 The 'How Do You Eat Yours' Tree (35cm)GE07THIS PRODUCT CAN ONLY BE DELIVERED TO THE UK - Due to popularity, whilst we will do our best to dispatch as many orders as possible, we are unable to guarantee delivery in time for Easter weekend on this product. 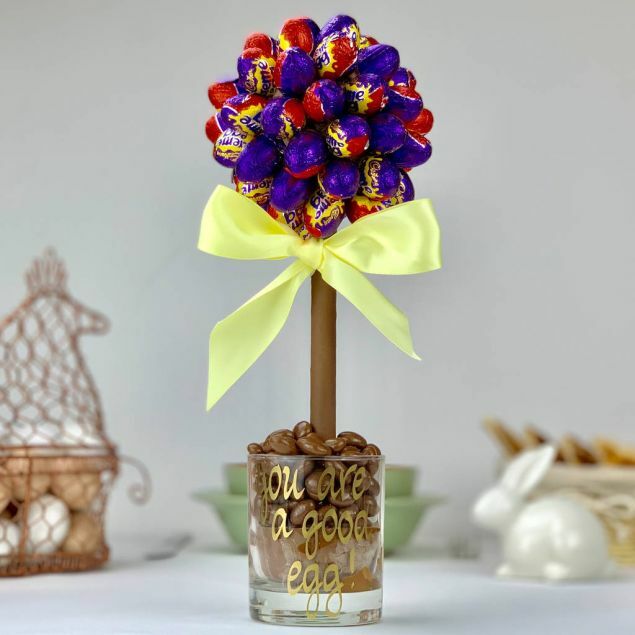 What's not to love - A chocolate tree covered in miniature Cadbury's creme eggs. 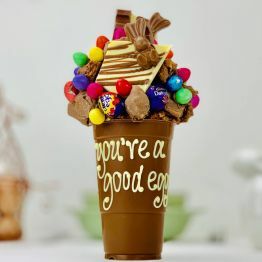 This 35cm can be shared with another (if they want to of course) The centre of the tree is also fully edible, – a chocolate toffee crisp centre, so once you have picked the Eggs, just keep eating! 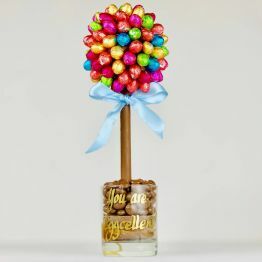 Every tree is cellophane wrapped with a satin ribbon, then protected with lots of bubble wrap and sent in a made to measure box to ensure your tree arrives safely.